[Massage history] Massage is an intuitive healing art that has been around for millennia. Massage therapy is based on our instinct to rub areas that hurt. We rub our belly when our stomach aches, parents rub their children when they scuff themselves and mothers rub and rock their infants when they cry. 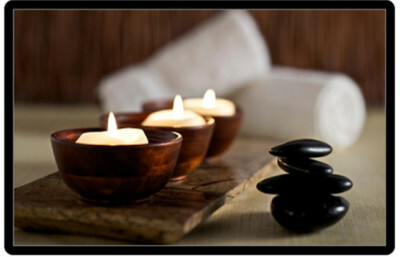 Massage therapy is a field that takes that very basic principle and evolves it into a science. The word ‘massage’ comes to us from the Arabic root “mass’h” which means to touch, knead or squeeze. Many believe that massage therapy is the precursor to all other forms of manual therapy; including physical therapy, chiropractic and orthopedics. The oldest written record of massage is approximately 4000 years old. It was found in a Chinese medical text, Con-Fu of the Toa-Tse, dated at about 1800 BC. These early accounts detailed the application of massage techniques for therapeutic purposes. Specific massage modalities, such as Reflexology, have been depicted in Egyptian hieroglyphs (see illustration) as forms of hand and foot therapy. This particular pictograph was found in the tomb of Ankmahor, thought to have been the physician to the Pharoah. Unfortunately, much of the healing knowledge and wisdom of the ancients has been lost through the passage of time. Rubbing can bind and loosen; can make flesh (referring to the ability to tone muscle tissue) and cause parts to waste (soften and relax). The Romans continued the Greek tradition culminating in the learnings and teachings of Galen (130-201 AD). He wrote several medical and philosophical volumes and is considered one of the greatest medical historians and physicians of antiquity. Before becoming a notable physician to a number of Emperors in the first century AD, he spent several years ‘interning’ as physician to the Gladiators of the Circus Maximus. He developed a complete regiment for the application of massage techniques for diseases and physical injuries. For all practical purposes, he was the original innovator of what we would today call Sports Massage or Orthopedic Massage. On a less flattering point, Galen reveals in his book Hygiene how deeply his feelings were towards massage and his disdain for those who would lower the standards of the profession - in this case, sexual – and lessen the meaning and purpose of its use. Upon overhearing a derogatory slur about his beloved profession, he wrote, “These are all wanton witticisms, not at all befitting a man learned in so august an art.” Unfortunately, this stereotype is a social stigma that has carried on to this day. Europe turned away from the teachings of Hippocrates and Galen during the Dark Ages. Conservative and repressive religious dogma frowned upon any act that involved touching that felt pleasurable to the recipient. These acts were unacceptable and often considered sinful. Most recently, there has been an explosion of research, development and interest in massage therapy. 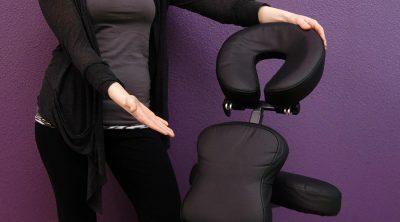 There are currently over 70 massage modalities practiced in the United States. Among them are Stone Massage, Pregnancy Massage, Shiatsu, Thai Yoga Bodywork, Reflexology, Neuromuscular Therapy, Craniosacral Therapy and Reiki (just to name a few). The general public, through funding (AMTA and FSMTA) and researchers like Tiffany Fields at the University of Miami, is gradually sloughing off outdated stereotypes and dispelling myths about massage. A growing number of Americans are not only learning but enjoying the benefits of massage therapy performed by qualified therapists. r ‘alternative’ but rather a cornerstone of every American’s good health practice.